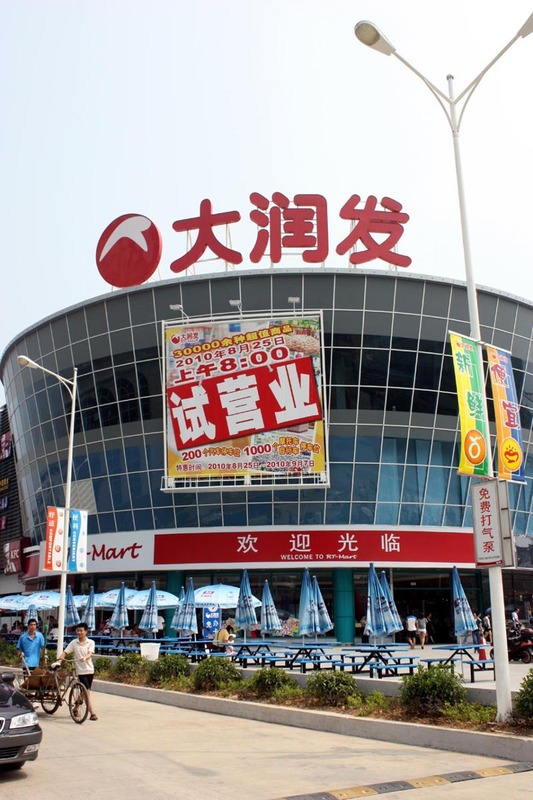 Taiwan chain, RT-Mart or大润发 (dà rùn fā) is by far the best supermarket chain in Liuzhou. They have two branches, onein the north of the city and one south of the river. The northern supermarket is on two levels, but the entrance forces you to the second level before you can descend to the first. The shopping area is large and spacious. As I wandered around the second floor with its books, dvds, computers, cameras, kitchen equipment etc., I really did wonder if I was in a supermarket or not. But finally, I reached the food areas. 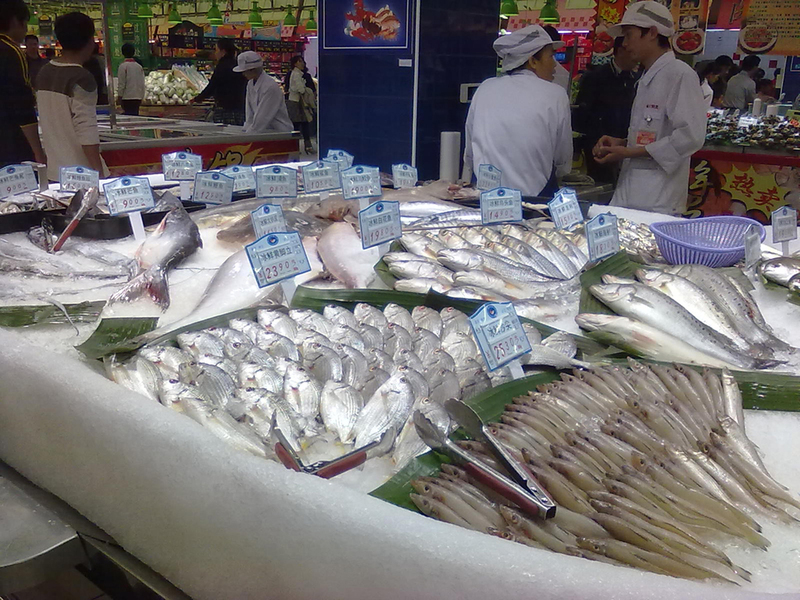 This was the same as every other supermarket in Liuzhou and had nothing of special interest and certainly nothing worth venturing to the frozen north of Liuzhou for. Somewhat disappointed (although I didn't expect anything else), I made my way down to the first floor. Wow! This is the fresh food area and is amazing. I was met by a beautiful selection of fresh sea fish and seafood and immediately threw a pack of fresh raw salmon into my basket. Well, as soon as the guy had expertly sliced it from the huge fish on his slab. I ate it for lunch less than an hour ago and I can tell you it was fresh! The beautiful sea bass, would have been my next choice. The meat, fruit and vegetable, and bakery counters were equally impressive (they even had six kinds of pizza, available by the slice.) 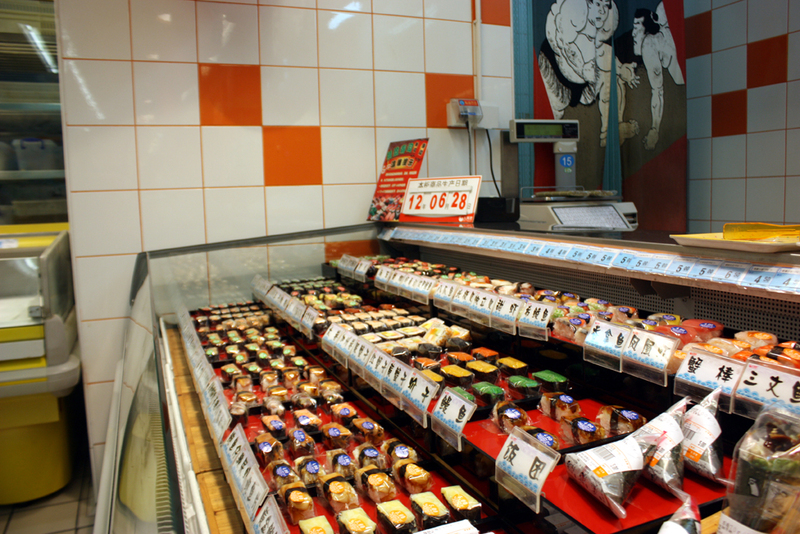 There is a very good sushi selection, either by the piece or in selection trays. The liquor store was also impressive with a wide range of western spirits and a reasonable selection of French and New World wines at not ridiculous prices. 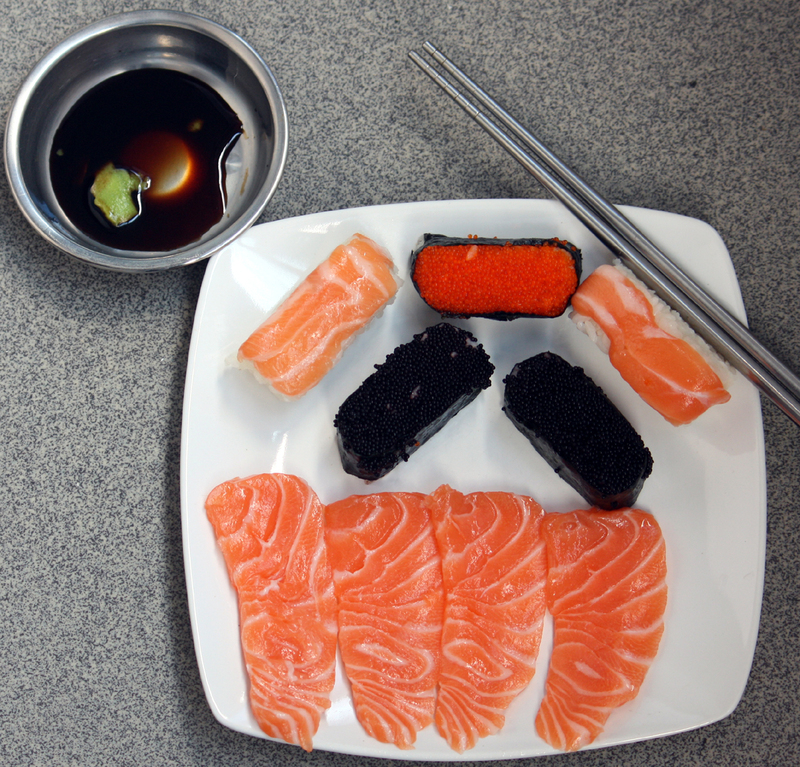 My lunch later in the day - sushi and sashimi. 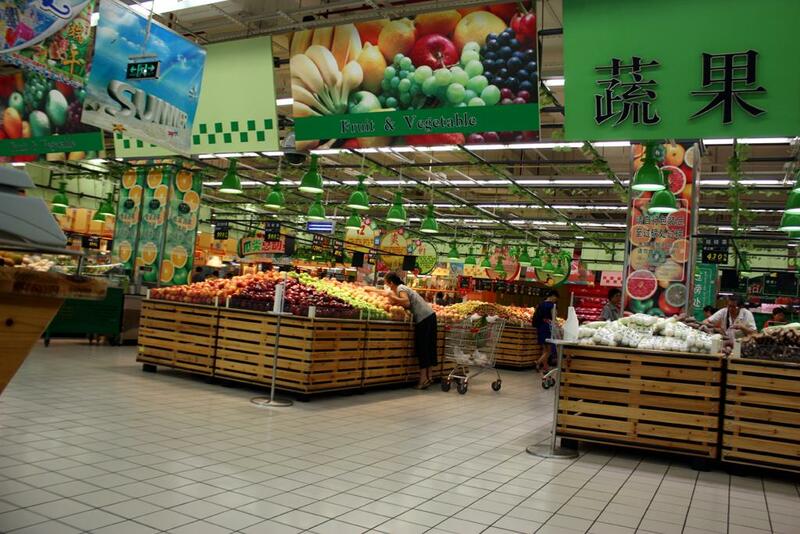 Their selection of fruit and vegetation is 100 times better and fresher than any other Liuzhou supermarket. I rounded off my purchases with cheddar cheese and butter and my basket was a happy one. They don't have much in the way of western food and I can't see myself trudging out there every day, but it is certainly well worth a weekly or monthly visit. I just hope they can keep up the standard and that the locals support their fish selection. It would be a shame to see all that beautiful food become unavailable again. Let's just hope they remember to restock popular items which run out, unlike the other supermarkets in Liuzhou! (Where is it? The supermarket is on Shengli Road East just to the west of the main entrance to Que Shan Park. By public transport, take the No. 19* or 24 bus heading north and keep going till the last stop, which is beside the park gates. Continue in the same direction for one block and there you are. The southern branch is on Pingshan Avenue (屏山大道) just east of the junction with Rongjun Road (荣军路), near the south end of Wenhui Bridge (the pretty red one)..This branch on one floor in the basement of the building. It stocks the same goods. Several buses stop right outside, including nos 6, 12, 36, 42, 62, and 70. Buses 30 and 69 stop just round the corner. The shops in this section are all located in the central area of the city. This is for two reasons. 1) This is where I live and these are the shops I know! 2) This is an area everyone gets to know. They are in order more or less north to south. 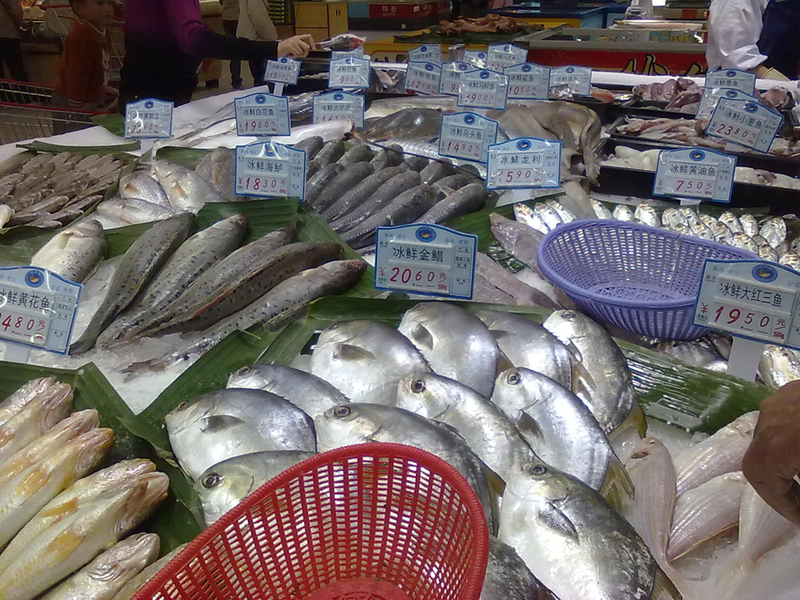 By far the best supermarket in Liuzhou is RT Mart but unfortunately both branches lie outside the city centre. 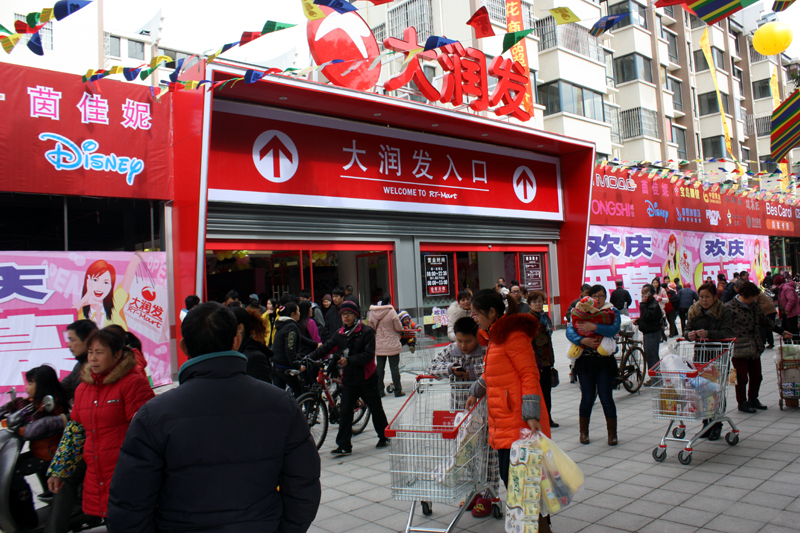 Nancheng Department Stores are also reasonable supermarkets, but despite having several branches around town, no longer have a branch in the peninsular area. Nearest is just south of No. 1 bridge (Liujiang Da Qiao). 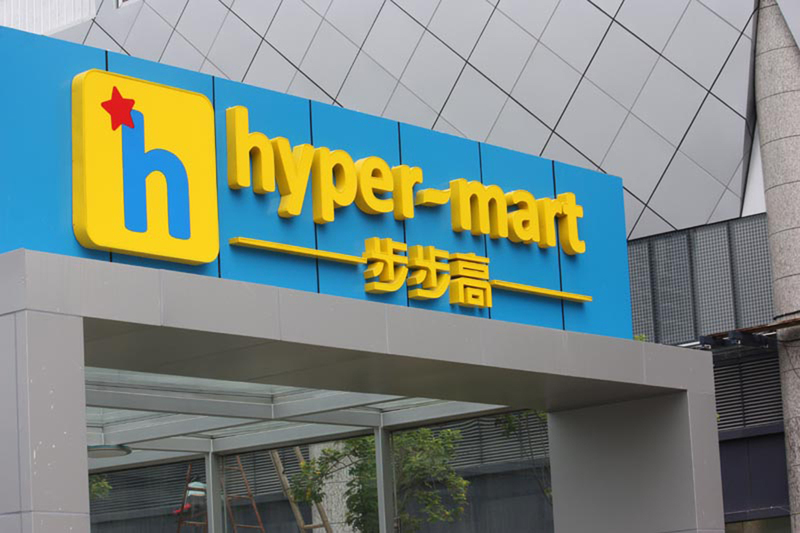 Newest arrival is the oddly named 步步高 (bù bù gāo) hyper-mart which opened in late 2013. The company is from Hunan and this is their first venture in Guangxi. It is on the northern edge of Liuzhou People's Square. The supermarket is fine (despite its strange layout) but has little in the way of Western food. However, watch out for bizarre, outrageous pricing. They are selling butter from between ¥26.80 to ¥36.50. per 200g. I buy Anchor butter for ¥18 / 227g. Also, they have Anchor whipping cream on sale at a shocking ¥32.50 - again I buy a Nestle equivalent for a mere ¥15. Their bakery is particularly poor (stale cakes made with lard- no bread), but they are good for beers (though their wine selection is average), but again the pricing is ridiculous. They are charging ¥42 for a 500ml can of Bodington's Pub Beer, for example. A few feet from the checkouts is another unrelated shop selling the same for ¥26.80. Don't try buying meat at noon. The staff all piss off for lunch leaving weigh stations unmanned. In fact, staff are pretty hopelessly trained and few seem to know what anything is. A few times I've been charged for a totally different foodstuff to what I have in the bag - so far all to my advantage, Recently I bought dried cèpe mushrooms which should have been around ¥30. The weigh station charged them as Black Wood Ear Fungus - a mere ¥6.90. I didn't notice until I got home - honest. They have four different types of dried mushrooms, all labelled and priced the same. One is correct. Also, the checkouts are a nightmare to find (they are behind the sweets/candies section) and are designed by someone who never went shopping. They are also usually seriously undermanned. There are 26 of them but most of the time usually only two or three are in use. The supermarket is conveniently located for me. I live nearby. I certainly wouldn't travel to find it. 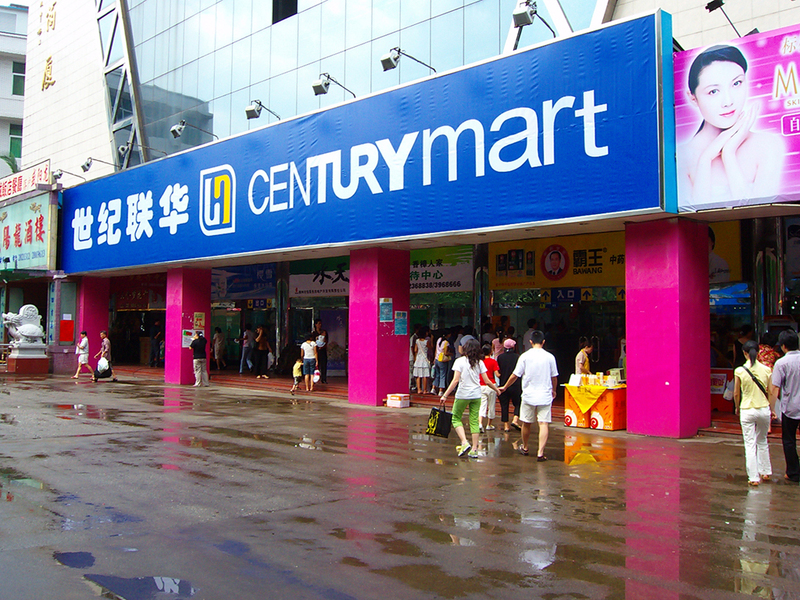 The most obvious supermarket chain in Liuzhou is Lianhua Century Mart. It is not great. Tired, limp vegetables; frozen, defrosted, refrozen and re-defrosted "fresh" meat swimming in added water to bulk up the weight; almost always broken escalators and abysmal service. Utterly hopeless place, although their small fish selection isn't bad. Lianhua Century Mart has been in Liuzhou the longest. Previously owned by local company Jiayong, it has several branches around town, ranging from the huge flagship store on Fei'e Lu near the railway station to little corner shops. The one pictured above is in Jiefang Beilu, near the city square and the Traditional Chinese Hospital.